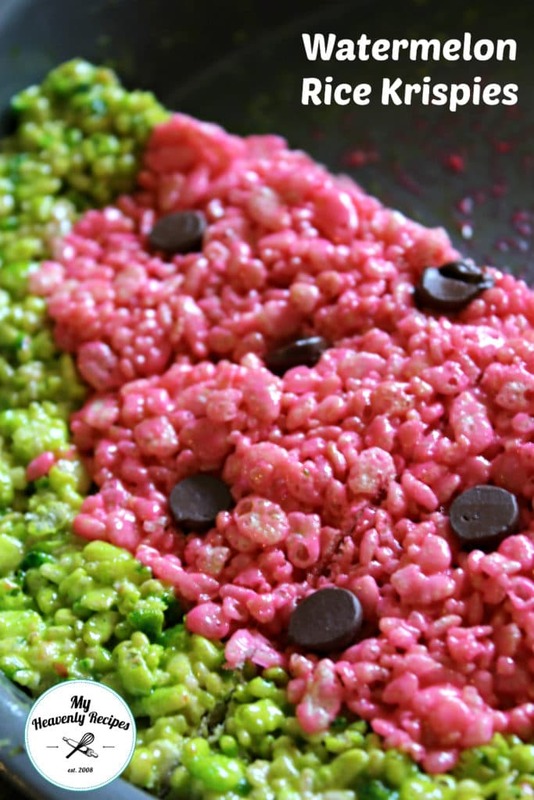 These Watermelon Rice Krispies Treats are fun for kids of all ages! Every Memorial Day weekend the girls like to hold a Bake Sale at camp. We are on our third annual Memorial Day Bake Sale and they wanted to kick things up a bit this year. 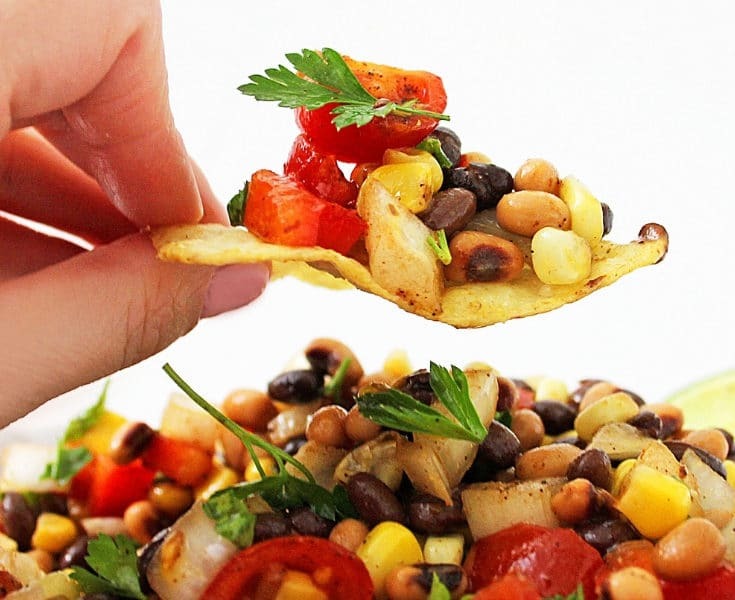 Beanies LOVES to make Rice Krispies because they are super easy and you can do a variety of different recipes with them. This year she decided she wanted a watermelon version, so we went with that. We ran out of time last night to get these made so I went ahead and made them for her. I’m sure she’s gonna be upset that she didn’t get to do it herself, but, she will be surprised when she gets home from school! 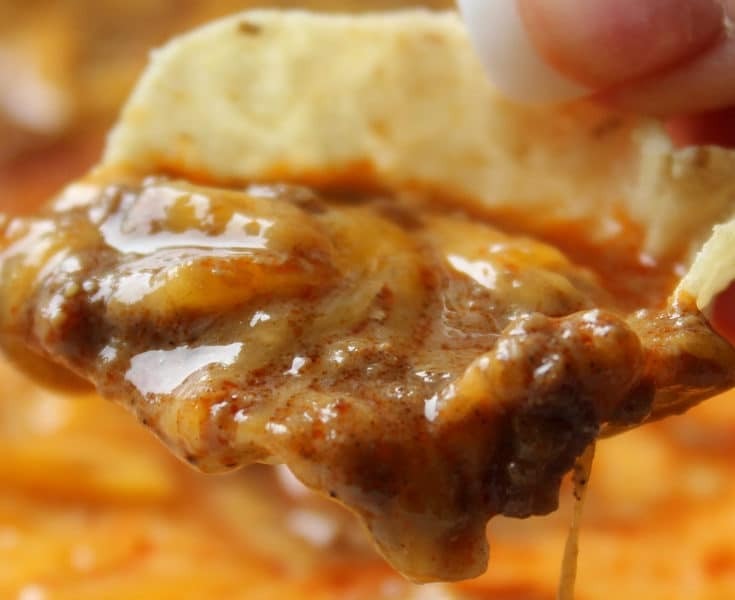 Later this summer we are going to do a HUGE summertime feast with our friends at camp so I’m sure she’ll be excited to be out of school and have time to recreate this recipe all for herself. 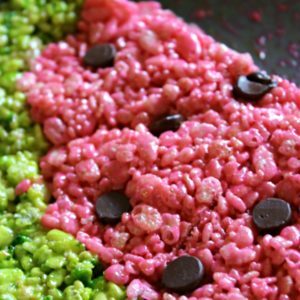 In fact, she’ll probably end up coming to this Watermelon Rice Krispie Treat recipe and read how Mommy created it. So let’s get ya’ll started and less of me blabbing. In a large sauce pan melt the butter. Once the butter has completely melted add in your bag of marshmallows and constantly stir until the marshmallows have completely melted. In a large bowl pour 2/3 of the marshmallow mixture. Add 4-6 drops of green food coloring and stir. Add in 2 cups of Rice Krispies, stir until incorporated. Using a Round Pan scoop out green rice krispies and create a ring around the outside of the cake pan. Next add in the pink rice krispies and pat down until smooth. Place chocolate chips face down to resemble the seeds of a watermelon! 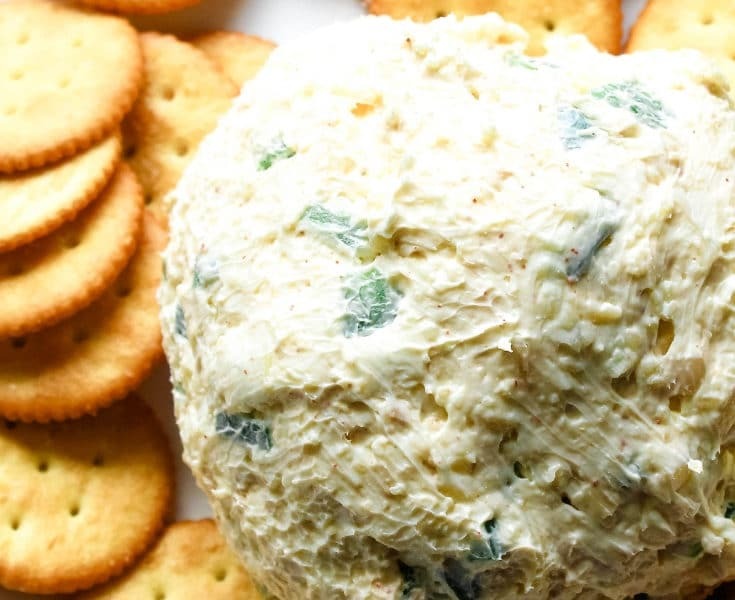 LOOKING FOR MORE KIDS BIRTHDAY PARTY RECIPES? 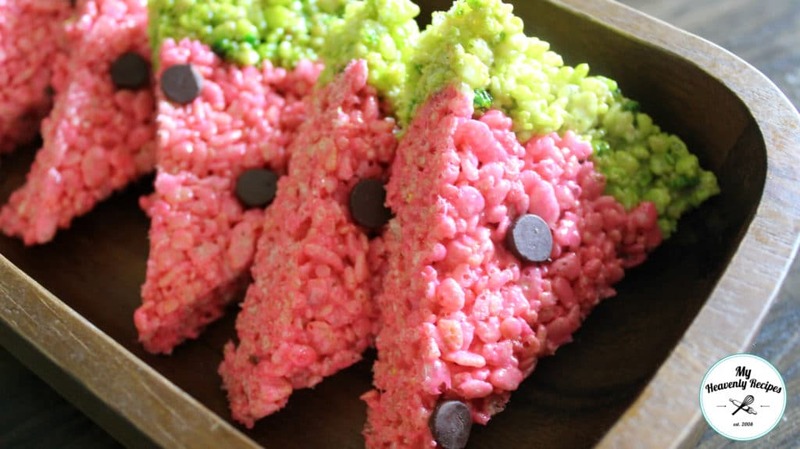 How fun are these Watermelon Rice Krispies Treats? 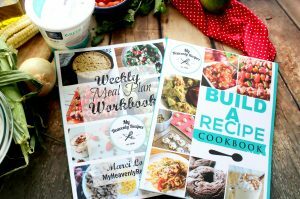 Grab the kids and have some fun in the kitchen! Super cute!! I haven’t had a rice krispy treat in many years. Such a fun summer treat. 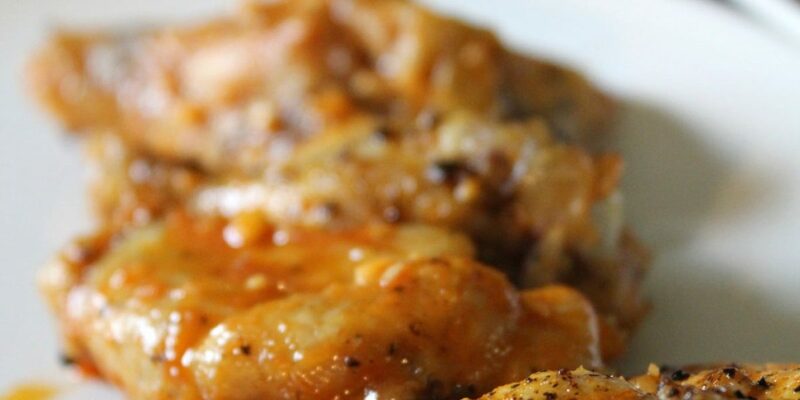 They look so pretty on a plate. I am sure they would be the star of any picnic. Thanks for sharing on our Share Your Style Party. The kids LOVE to make them and show off their creation at all our BBQ’s! Have fun making yours! These are sooo fun. My granddaughter is about to turn ine and she’s having a “one in a melon” party! These are perfect. That is freakin’ adorable! I’d love to know how it turns out! Have you seen the Watermelon Truffles? I shared those on my Facebook page yesterday. So cute!